This page shows the latest telehealth news and features for those working in and with pharma, biotech and healthcare. 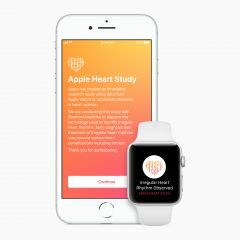 As part of the trial, participants also received a telehealth consultation with a doctor and had to wear an electrocardiogram (ECG) patch for a week for additional monitoring should they receive ... and booked a telehealth appointment. The use of telehealth and telemedicine is – after a bumpy start – advancing, with personalised care programmes leveraging digital technology to monitor patients and improve interaction between HCPs and patients. with cybersecurity much more explicitly [but is] less robust on telecoms standards and privacy, which has implications for telehealth and telecare”. This definition fits all the examples I uncover in my work, from smart inhalers to clinical trials enabled by mobile technology and telehealth to smart pills. A telehealth service supported by the Novartis Foundation in Ghana is to be scaled up after a successful pilot saw it selected as part of the country’s national eHealth efforts. Approximately 8 fully matching, plus 27 partially matching documents found. Companies. Scope of partnership. EarlySense/ American Well. Partnership for EarlySense continuous monitoring and American Well's consumer telehealth service Amwell. These services will be facilitated by telehealth devices, and aim to avoid costly hospital stays for the ageing population, where possible. The MDLIVE telehealth platform, for example, provides access to 24/7 acute care, delivered through virtual doctor consultations.